Enjoy safety and confidence while using your ladder with a ladder stabilizer. 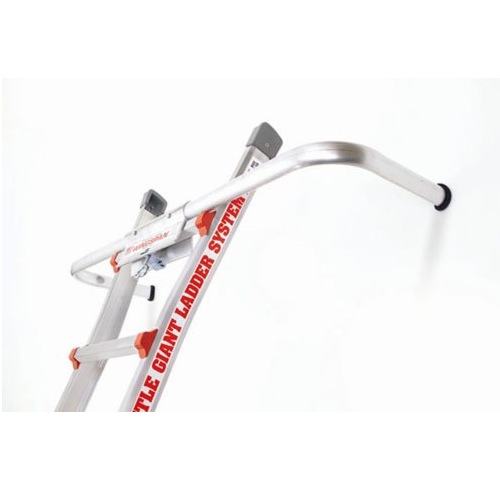 Ladder stabilizer provides added stability to create a safe working environment. 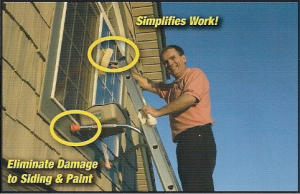 It is must have for safely using your ladder for cleaning gutters, installing Christmas lights, cleaning windows, climbing on your roof, painting, and other DIY projects. So what are you waiting for? Get yours now. Make using your ladder much easier and safer with the Ladder-Max Stand-off Stabilizer. 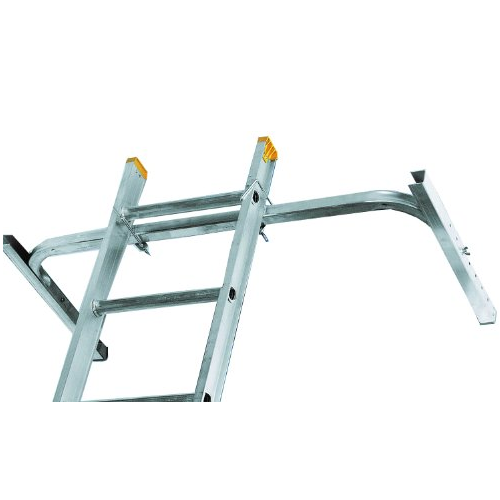 This ladder stabilizer improves ladder stability and safety while protecting gutters and other surfaces. Built with durable zinc platted steel construction materials, the Ladder-Max provides 19″ of standoff from roofing and walls and can fit aluminum, fiberglass and articulating ladders. Can be installed on and off your ladder in seconds. Easy to install and works great, the Werner AC78 Quickclick Stabilizer is great for anyone who has a ladder. This stabilizer spans 44″ and provides a standoff of 10″. It easily attaches to ladder with no tools required. There is a spring loaded locking latch that makes it easier and quicker to install than other stabilizers. Also features mar-resistant rubber end caps to protect work surfaces. Instruction and a paint can hook included. Finally, a great ladder accessory that promotes utility and safety. The Qualcraft Corner Buddy Aluminum Ladder Stabilizer is perfect for use on multi-surfaces, corners, flat, round and multi-dimensional construction. You can transport the ladder from job to job without having to be removed from a ladder. The corner buddy is powder-coated in safety yellow and comes with rubber bumpers to protect against the work surface. Climbing on the roof is safer now with the Louisville Ladder Adjustable Aluminum Ladder Stabilizer. This durable and lightweight ladder stabilizer fits extension and single ladders with rail up to 4 inches x 1 3/4 inch. It attaches with 2 U-bolts and features replaceable extra heavy duty rubber tips. 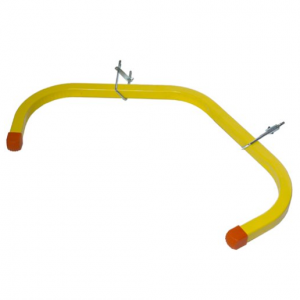 Perfect for painting around windows, doors, and gutters without damaging them. 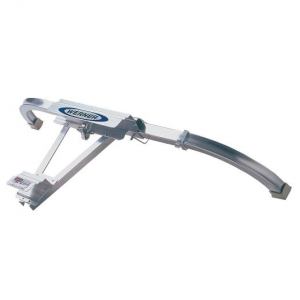 Measures 12.79″ W x 48.5″ L x 2.2″ H.
Now you can repair your gutters without any worry of sacrificing safety with the Little Giant Wing Span/Wall Standoff. The Wing Span offers a fixed width of 50 In. and a stand-off of 12 In. 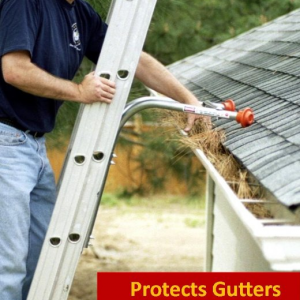 for working around windows, rain gutters, bushes, overhangs and more. It can easily be attached to any Little Giant Ladder System. Made with aluminum, the Wing Span is lightweight and rust resistant. Overall height – 0.25 Feet.